*FY 2019 total revenue expected to be in the range of $845 million to $885 million as of guidance on 3/6/2019. Ameresco, Inc. (NYSE:AMRC) is a leading independent provider of comprehensive energy services, including energy efficiency, infrastructure upgrades, energy security and resilience, asset sustainability and renewable energy solutions for businesses and organizations throughout North America and Europe. Ameresco's sustainability services include capital and operational upgrades to a facility's energy infrastructure and the development, construction, ownership and operation of renewable energy plants. 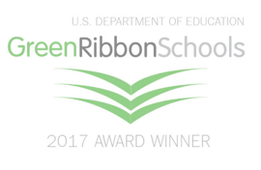 Ameresco has successfully completed energy saving, environmentally responsible projects with Federal, state and local governments, healthcare and educational institutions, housing authorities, and commercial and industrial customers. With its corporate headquarters in Framingham, MA, Ameresco has more than 1,000 employees providing local expertise in 70 offices throughout the United States, Canada, and the United Kingdom. 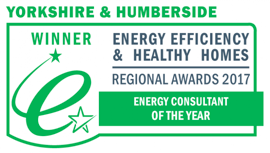 Ameresco’s comprehensive energy services specialists can navigate customers through the various techniques for improving energy efficiency at the enterprise level. Ameresco’s renewable energy solutions provide real, sustained economic benefit while ensuring environmentally friendly energy infrastructures. Ameresco has the capability to oversee a wide range of improvements to energy infrastructure for a variety of customers from commercial to industrial and institutional to the government. Ameresco’s Energy Supply Management specialists can provide customized assessments of supply-side dynamics to manage price risk, annual costs and simplify procurement. 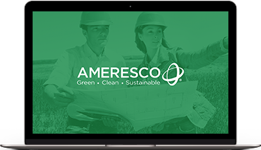 Ameresco offers a complete suite of asset and energy information tools that deliver meaningful savings and environmental benefits.